This is the step-through version of the ESPRESSO SPORT/TOUR 600. It runs the SHIMANO STEPS crank driven electric system and is designed to be a commuting machine for ladies and gentlemen who prefer a step-through bicycle style. 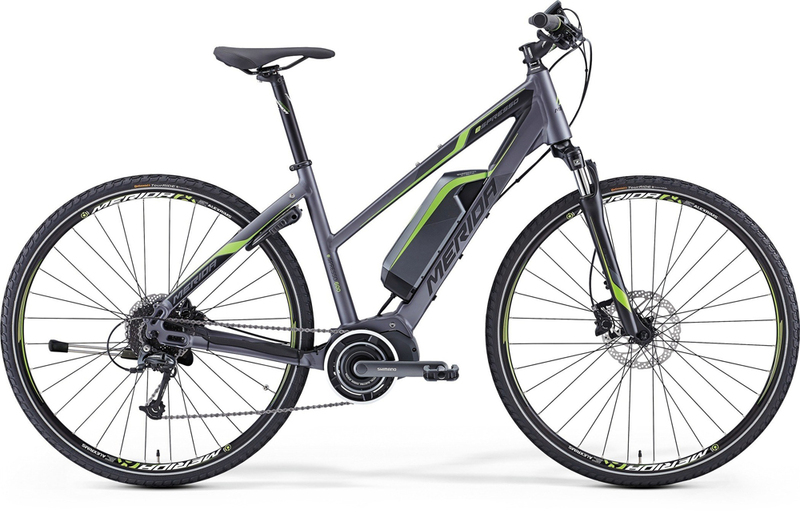 The advantage to this model over other step-over bicycles is that the battery is still located on the down tube so the centre of gravity is better than when the battery is placed on the rear rack. This gives it a superior performance advantage over other similar models. For the price, this bike is nearly unbeatable if you are looking for a crank driven ebike from a well known and reputable manufacturer like MERIDA. All components are high quality and with Shimano Deore gears and hydraulic brakes you can be assured of smooth gear changes and braking. Please come in to test ride this bicycle, it’s proven to be a favourite for quite a few customers now.